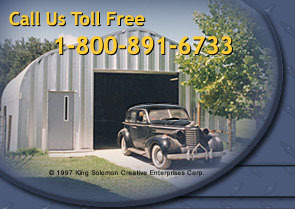 Metal barns from American Steel Span are versatile and come in a variety of sizes and models. American Steel Span metal barns are manufactured exclusively in the United States and these remarkable metal barn buildings are ideal for storing and protecting grain, hay and farm equipment. In fact, some American Steel Span metal barns are large enough for twenty tractors and an 18-wheeler. We cannot forget livestock. American Steel Span buildings are perfect as metal horse barns.